INDUSTRY.co.id - Jakarta - PT. Bank Rakyat Indonesia Tbk. continues to encourage empowerment and upgrading of micro, small and medium enterprise (MSME) entrepreneurs in Indonesia. PD. Pasar Jaya with PT. Bank Rakyat Indonesia (Persero) Tbk synergy related to the provision of banking product service facility to support PD business activities. Pasar Jaya. "This CoC Branding Card is a form of BRI's support to traders in the market market managed by PD Pasar Jaya in order to intensify non-cash transactions. 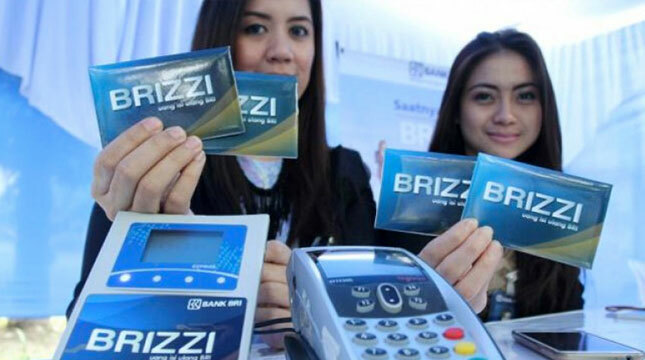 With the use of BRI co-branding card, they are expected to get fast, convenient, modern banking services," explained Head of Institution Division 2 Bank BRI Sigit Murtiyoso. The card is also expected to be the acsess point of financial inclusion among market traders. By knowing the history of merchant transactions, BRI may offer loan products such as Kredit Usaha Rakyat (KUR) or other Bank BRI banking facilities.